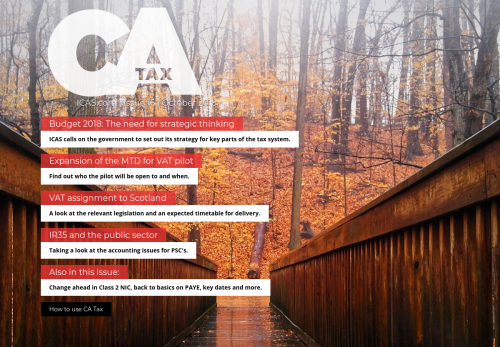 ICAS calls on the government to set out its strategy for key parts of the tax system. Find out who the pilot will be open to and when. A look at the relevant legislation and an expected timetable for delivery. Taking a look at the accounting issues for PSC's. Change ahead in Class 2 NIC, back to basics on PAYE, key dates and more.